The Jiak Kim Street site, which was the former ground for the iconic Zouk nightclub, and a residential site at Fourth Avenue have been made available for sale by the Urban Redevelopment Authority (URA) of Singapore yesterday. Spanning across a land area of around 145,421 sq ft, the Jiak Kim Street site is zoned for both residential and commercial usage (on the first level), and could possibly yield an estimated 525 private homes in future. According to property analysts, residents of the future new launch at Jiak Kim Street will provide unparalleled connectivity. Not only it is situated in the Core Central Region (CCR) of Singapore, it is just within close proximity to 2 upcoming MRT Stations – the Great World MRT Station and Havelock MRT Station. On top of that, future residents at the new residential new launch at Jiak Kim Street will get to enjoy a perfect view of the iconic Singapore River. Due to its excellence in location, market watchers are expecting the Jiak Kim Street site to draw between 8 to 12 bids from various property developers and consortiums, with a top bid coming in at around S$634 million to S$690 million (or S$1,150 to S$1,251 psf ppr). However, analysts have cautioned that the interest for the Jiak Kim Street site will be heavily dependent on the sales results and responses for the upcoming nearby launch – Martin Modern by GuocoLand, which will give keen developers a clearer picture of the demand and price level for the precinct. Another site is located within one of the established landed estates in Singapore at Fourth Avenue. It has a land area of approximately 199,480 sq ft and is expected to yield around 445 private homes. With its location being just next to Sixth Avenue MRT Station, the Fourth Avenue site is likely to face hot competition between property developers, with a possibility of around 15 – 25 bids coming in for the site. 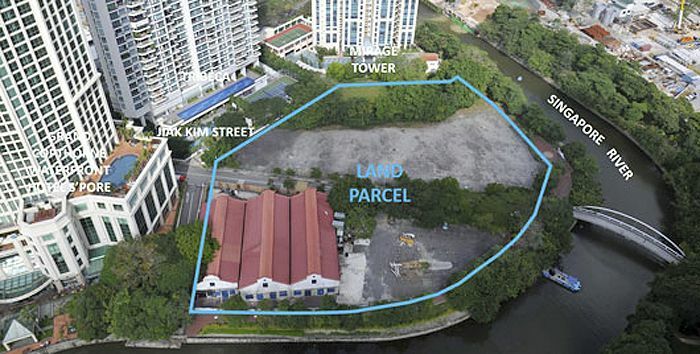 Given the keen interest showed in the Toh Tuck Road site earlier in the April 2017 (which was won by SP Setia among 24 bids received, for S$265 million), the quantum and size of the Fourth Avenue site would be on a lower end and more palatable to even smaller property developers, when being compared to the Toh Tuck Road site. For the Fourth Avenue site, market watchers are expecting a top bid between the range of S$340 million to S$376 million (or S$950 – S$1,050 psf ppr). Both sites are on a 99-year lease tenure and are placed on the reserve list under the Government Land Sales (GLS) programme and they will be put up for tender once an acceptable minimum bid amount has been received from a property developer. Analysts are expecting a triggering bid to happen real soon, given the current buoyant mood and strong market sentiments with property developers eagerly trying to replenish their depleting land banks.